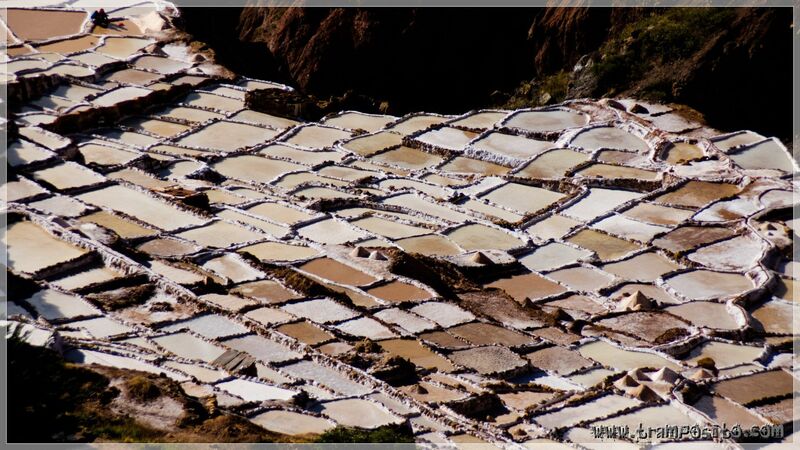 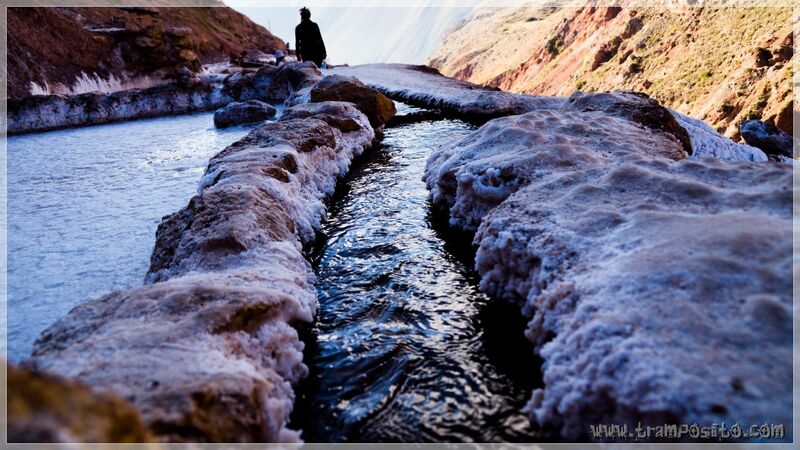 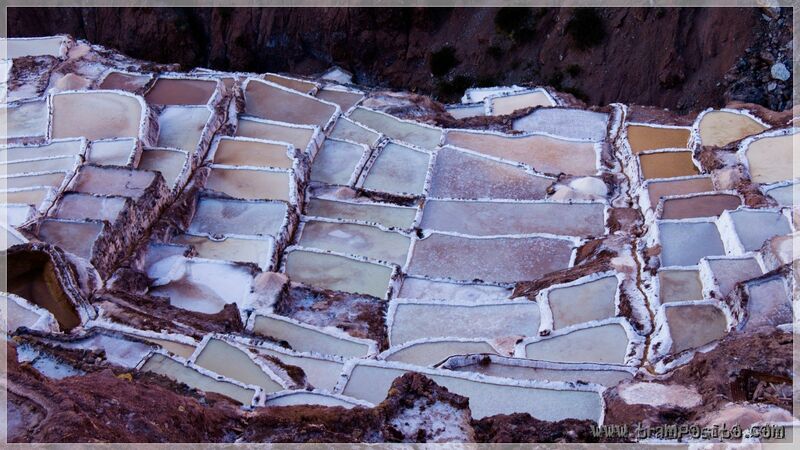 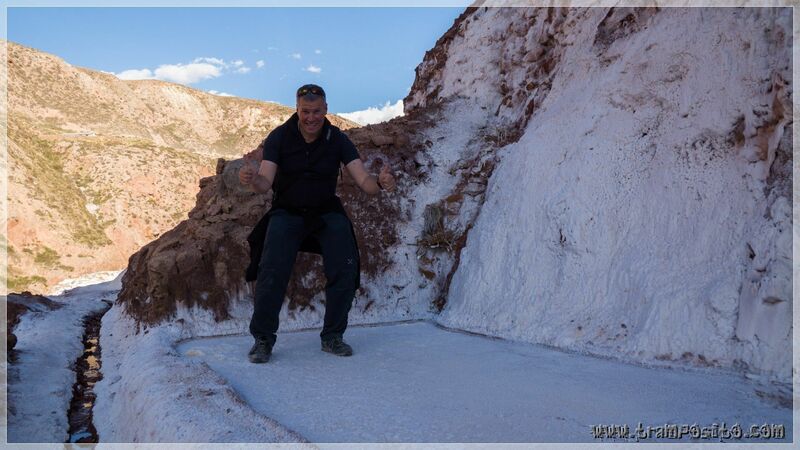 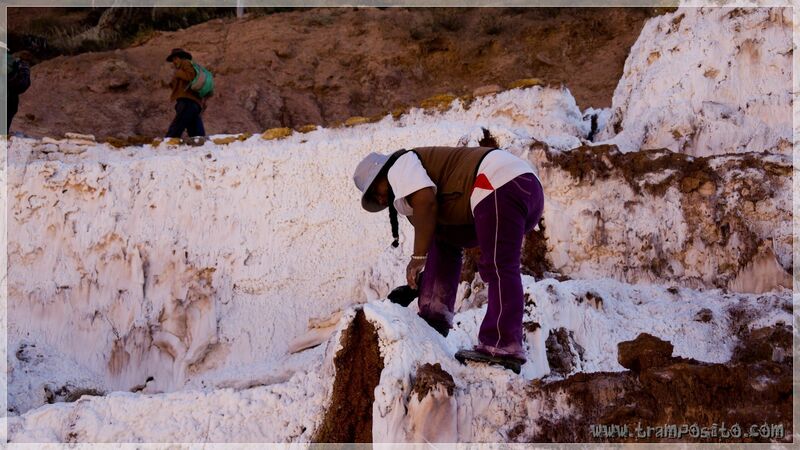 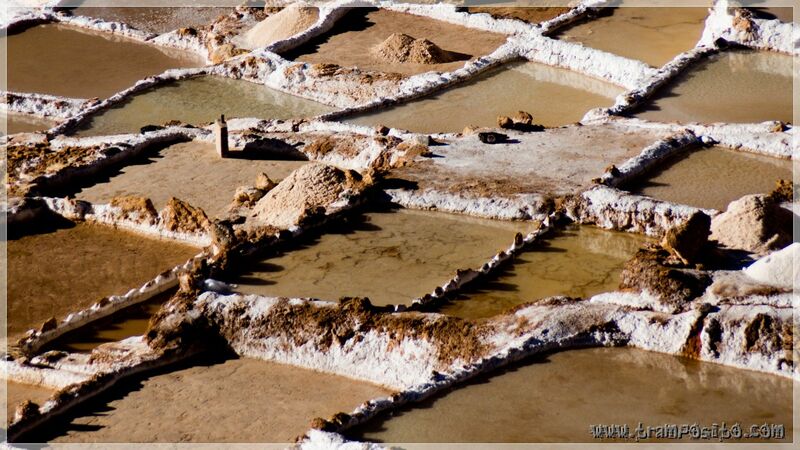 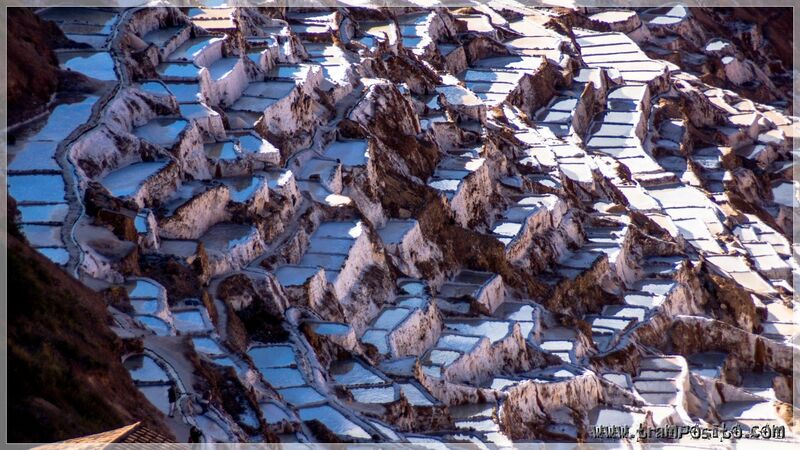 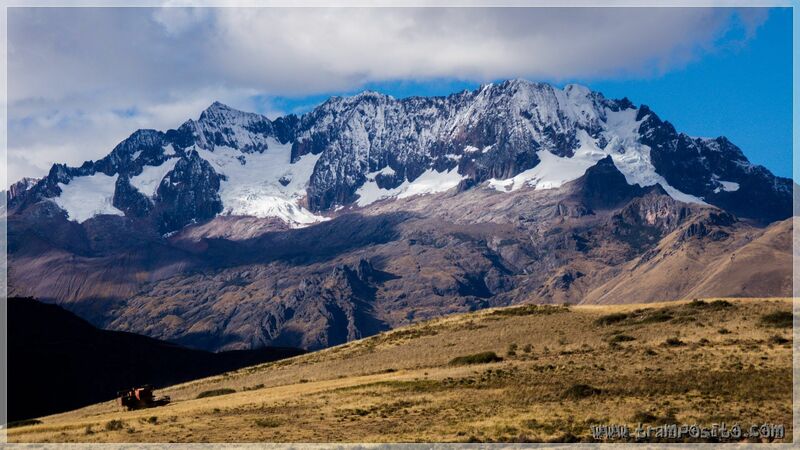 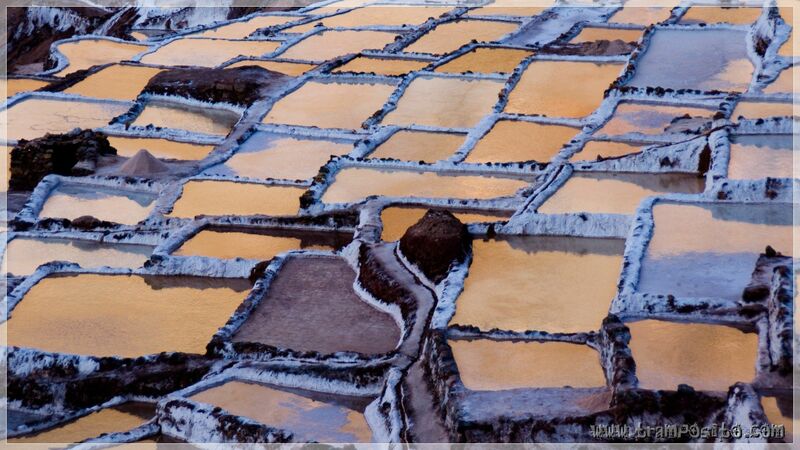 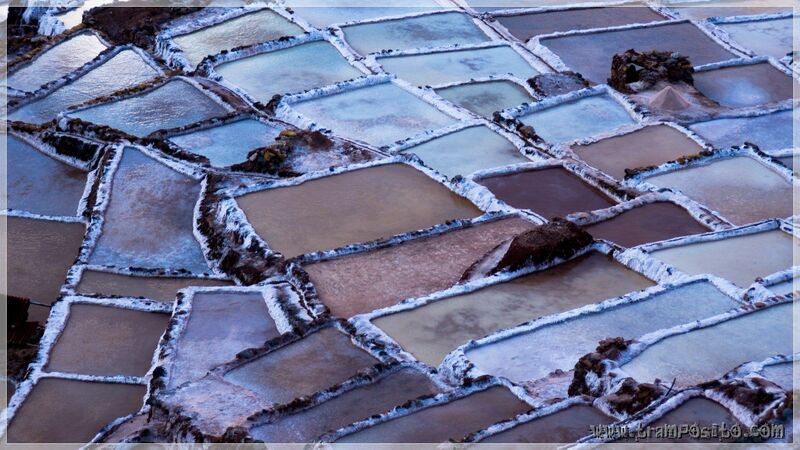 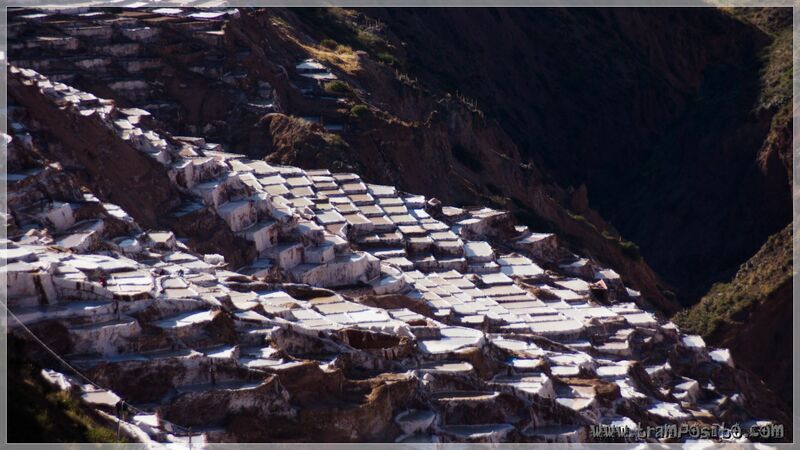 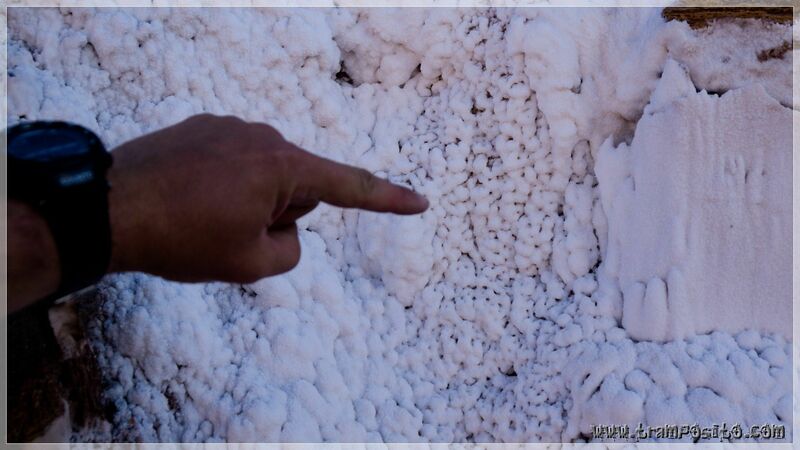 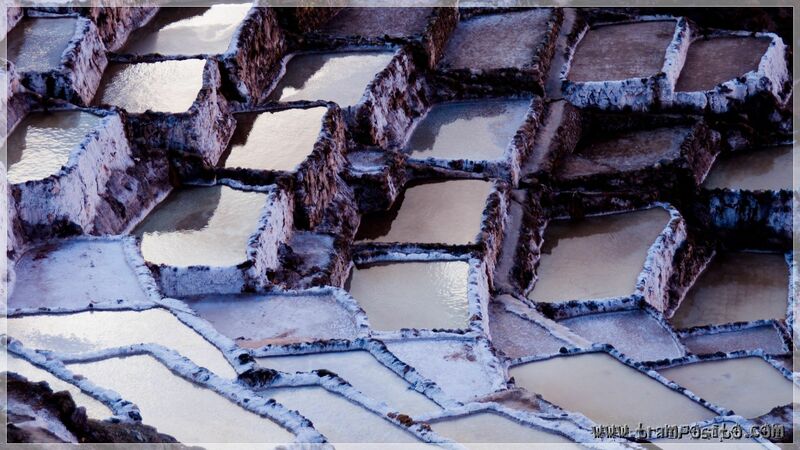 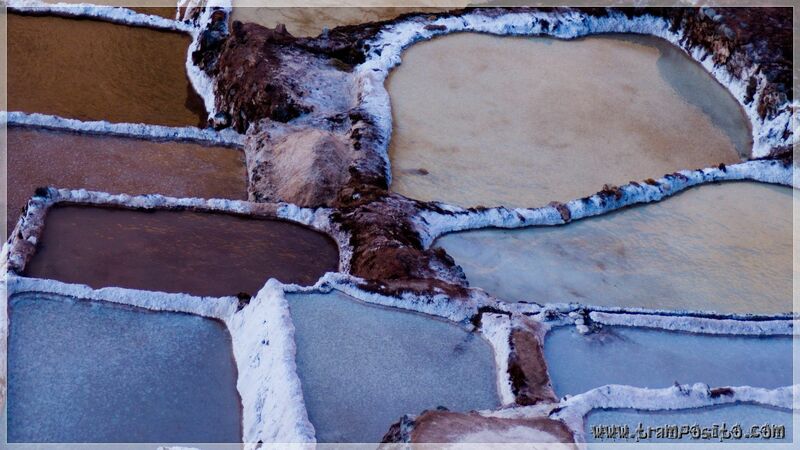 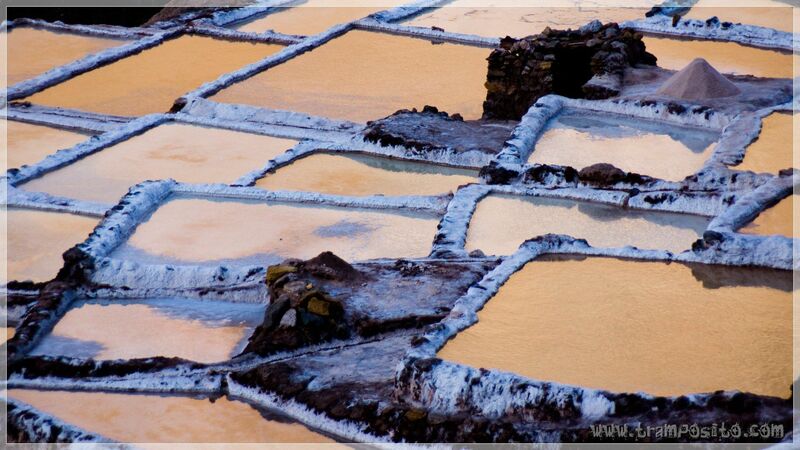 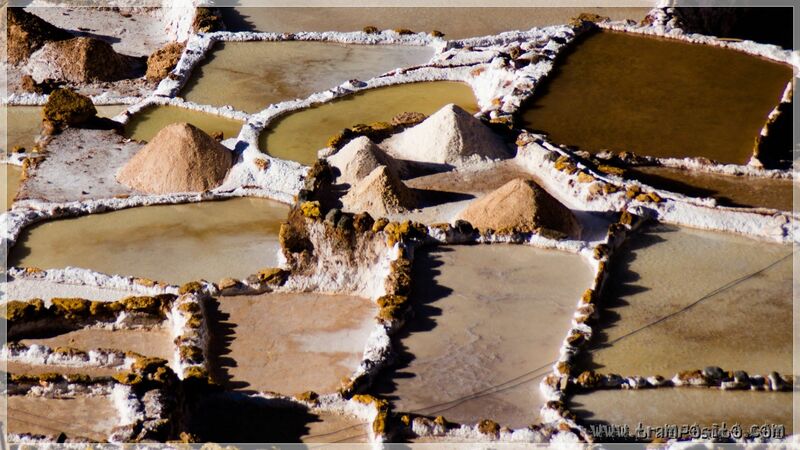 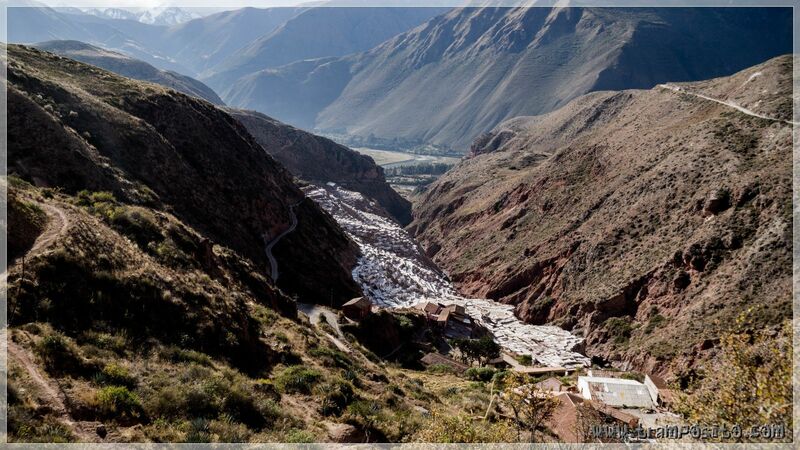 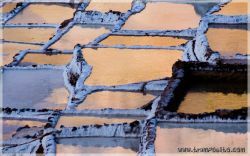 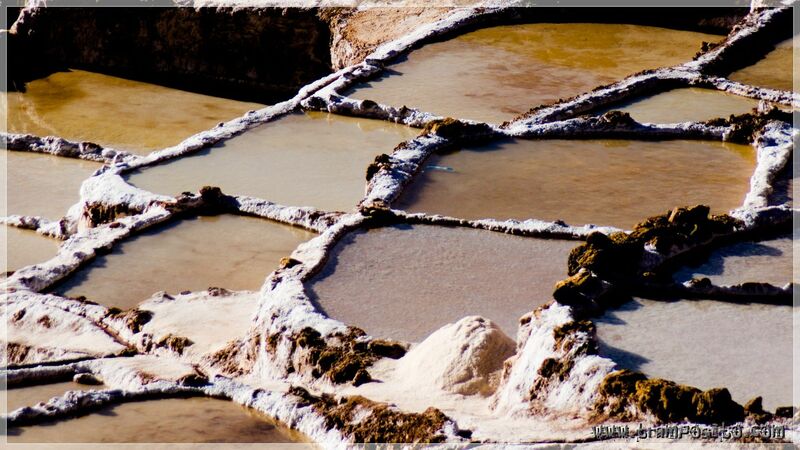 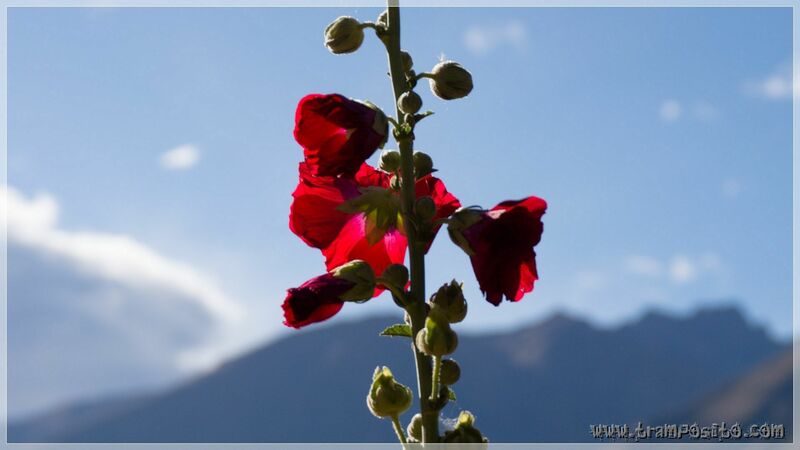 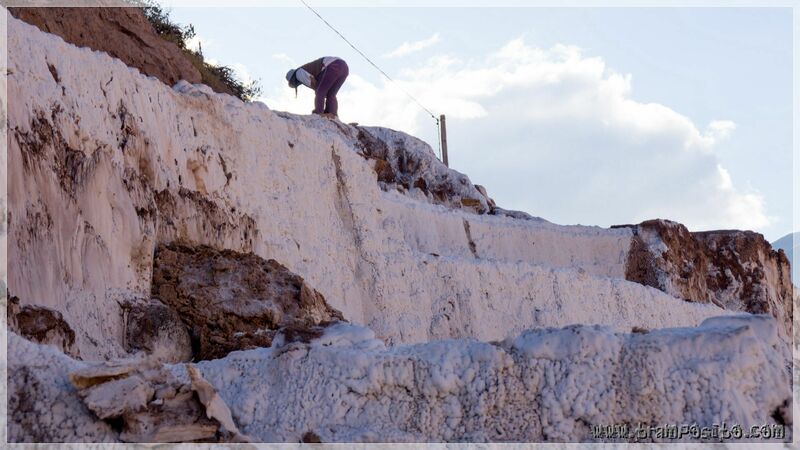 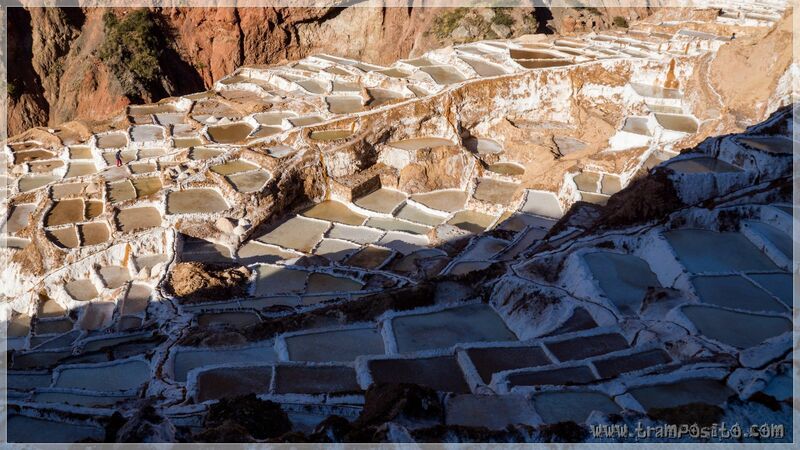 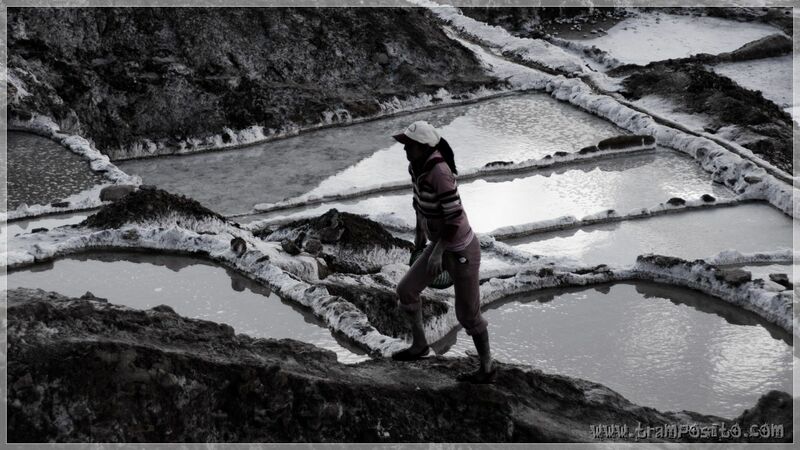 Since inca times salt is harvested here, close to the city of Maras - located in the sacred valley, in the south of Peru. 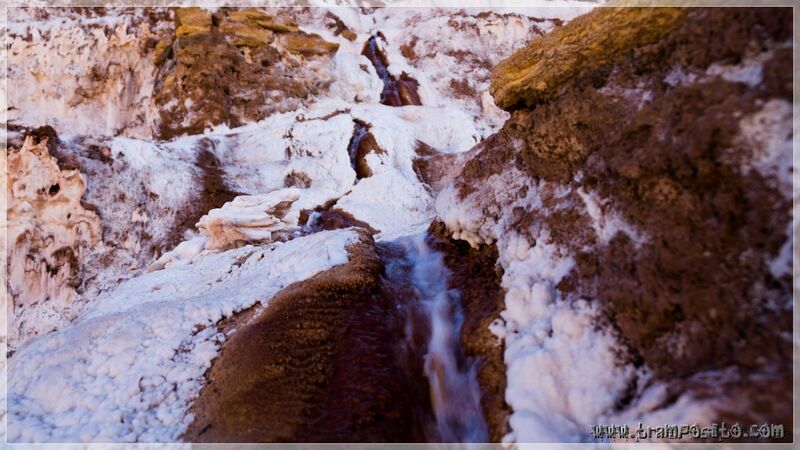 A subterranian stream is cought from a spring. 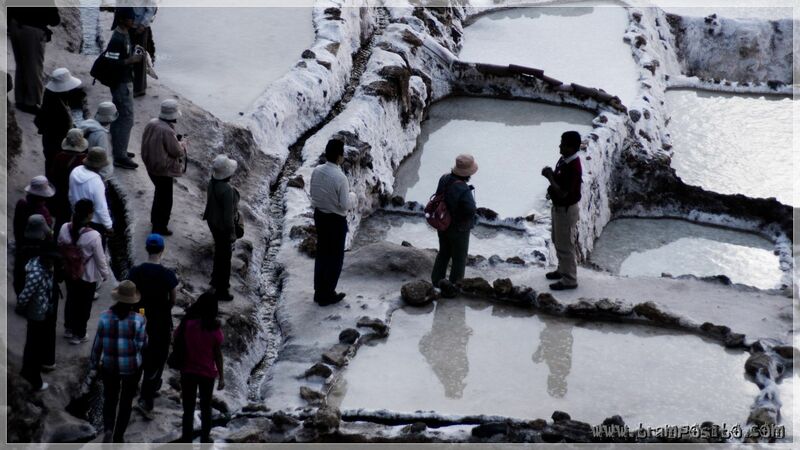 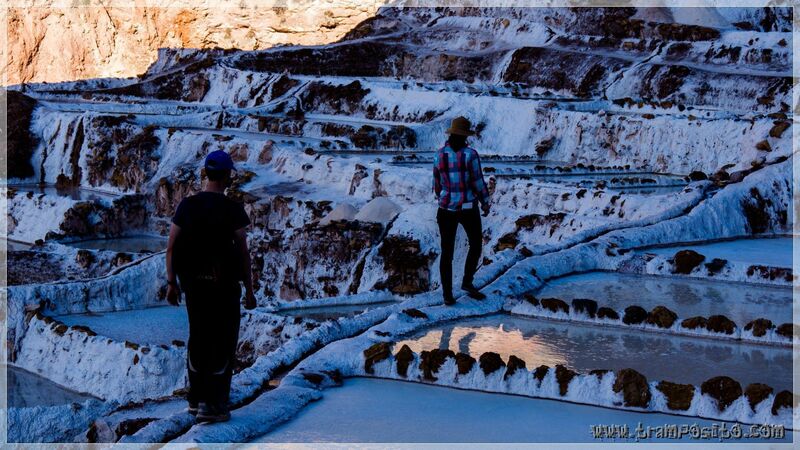 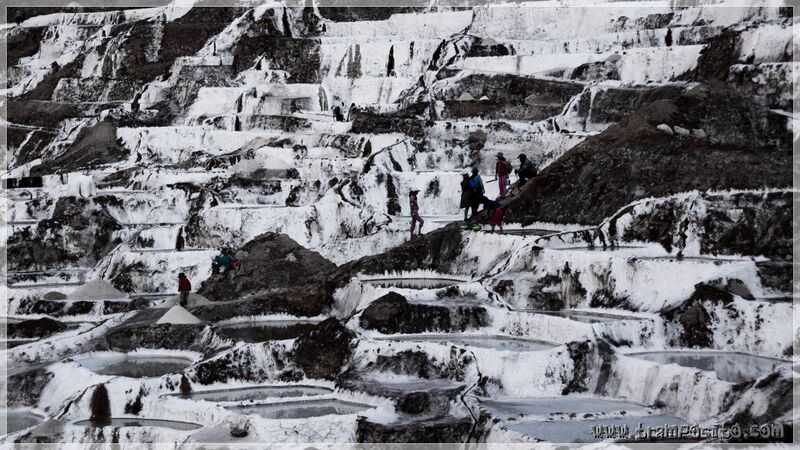 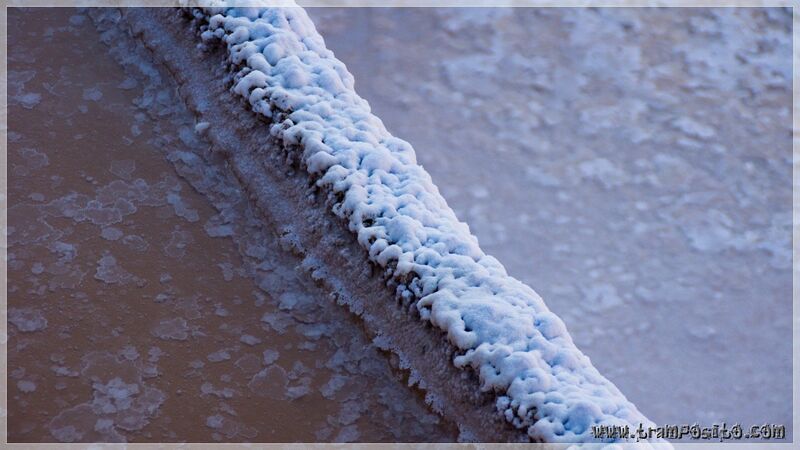 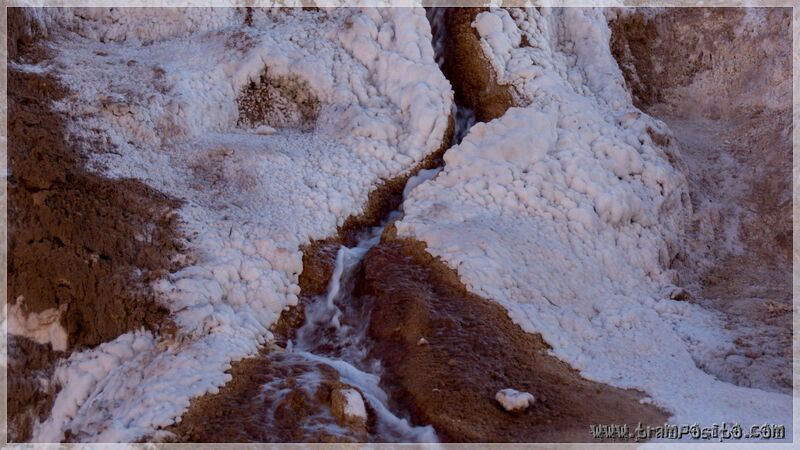 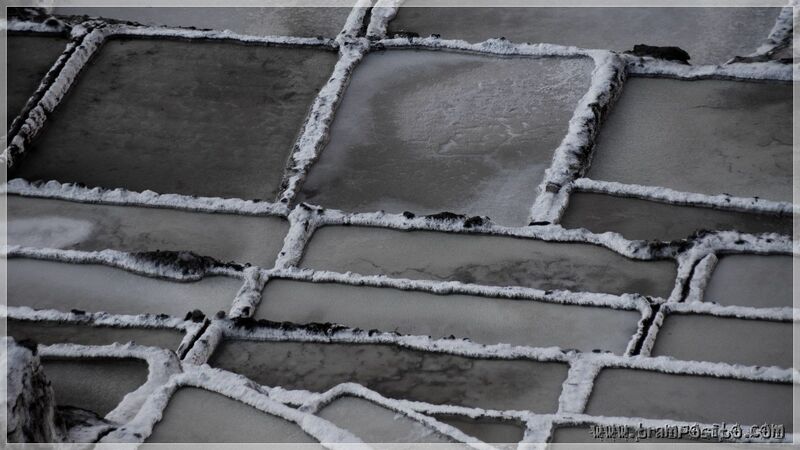 Tiny channels, carefully maintained, guide the water to the several hundreds of terraced ponds. 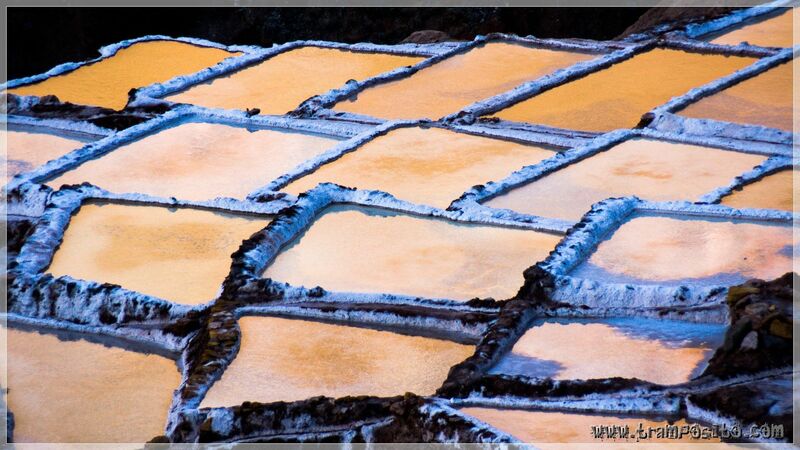 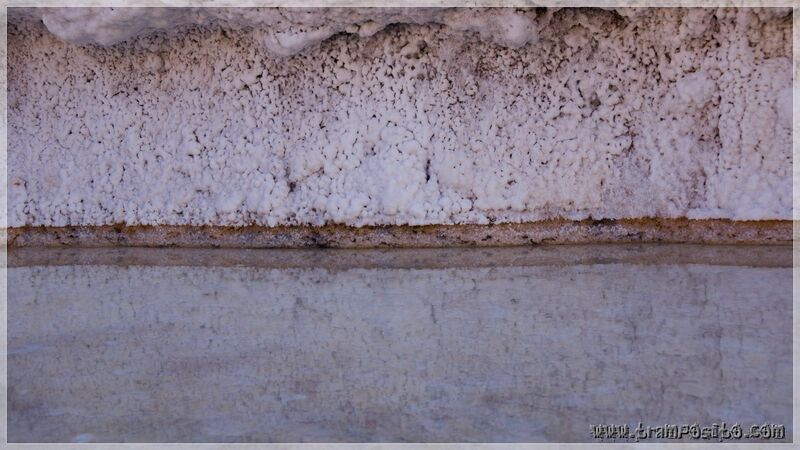 Water evaporates from these, leaving back highly concentrated salt water and, finally, pure salt. 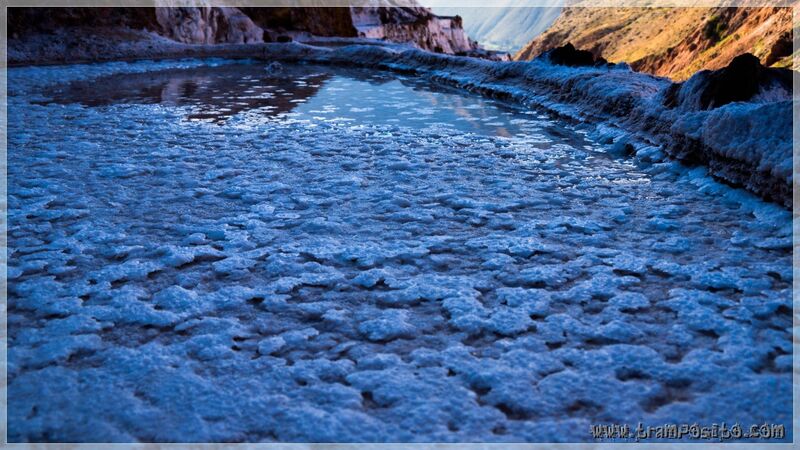 A beautiful, surreal place!